The Agricultural Media Resources and Extension Centre (AMREC), has empowered over 120 farmers, drawn from the four agricultural zones of Ogun State with requisite skills in integrated agriculture, value addition and marketing of agricultural products and agricultural financing. Speaking at the occasion, the Vice-Chancellor, Professor Olusola Oyewole, who was represented by the Deputy Vice-Chancellor (Development), Professor Kolawole Salako, expressed his delight over the theme chosen for the training, Integrated Agriculture for the Promotion of Food Security, which the Vice-Chancellor noted would assist the farmers in combating hunger and poverty in Nigeria.He expressed the hope that the training would further strengthen the collaboration between the University and stakeholders in the agricultural sector, because training and re-training of farmers was central to enhancing productivity, as he implored the farmers to take full advantage of the training programme to broaden their knowledge base for improved agricultural production. 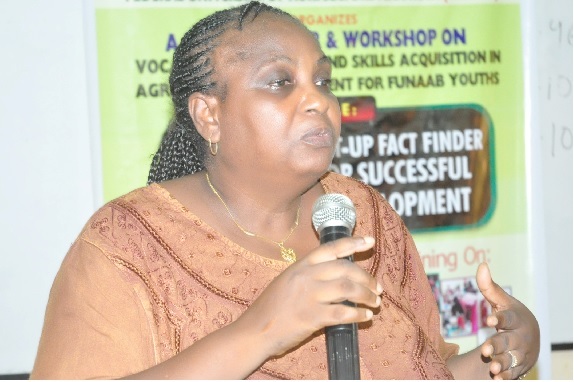 Earlier, the Director of AMREC, Professor Carolyn Afolami, highlighted some recent activities and projects embarked upon by the Centre to include the National Agricultural Seeds Extension Village project; processing and marketing of agricultural produce; bee-keeping practice and honey production; cassava production and processing into money making products, and the provision of credit facilities, as well as various vocational and capacity building trainings for farm families in Ogun State and the South-West. The Director added that the Centre had started disbursing short-term loans to interested farmers within the FUNAAB catchment area. She also observed that the Agricultural sector in the Nigerian economy was facing challenges that required urgent attention. 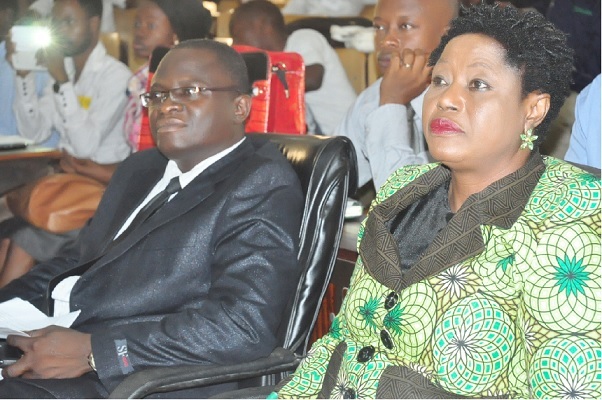 She disclosed that the title of the training programme was timely and appropriate, as she urged farmers to embark on integrated agriculture to alleviate poverty and promote food security in the nation. Professor Afolami stressed the need to access high quality agricultural inputs, finances, efficient technologies and engage in proper farm management techniques. 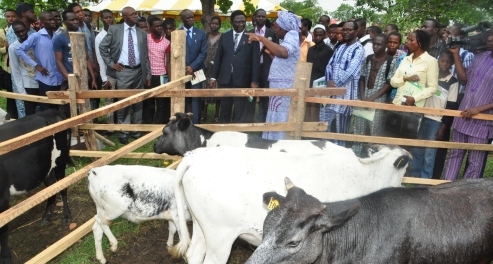 The don sought the support of the agro-allied arm of the various governments to make their services readily available and accessible to farmers, as she noted that the training was an eye-opener for the farmers for better agricultural practice. Topics discussed at the training programme include, “Integrated Agriculture for the Promotion of Food Security”, “Agricultural Seeds Production and Management in South-West Nigeria”, “Livestock Production for Sustainable Livelihood”, “Access to Micro-Credits by Small Scale Farmers”, and “Value Addition and Marketing of Agricultural Products”. Dignitaries present at the event include the General Manager, Ogun State Agricultural and Multipurpose Credit Agency (OSAMCA), Mr. Samuel Adeogun; representative of the Justice, Development and Peace Mission (JDPM), Mr. Oluwafisayo Adesanya; representatives of the National Agricultural Seeds Council (NASC) and General Manager, Ogun State Agro-Services Corporation, as well as farmers’ representatives from Ogun State. One of the participating farmers, Alhaji Oladunjoye Akorede, commended AMREC-FUNAAB for organising the Pre-Season Training, as he acknowledged that the training programme would go a long way in boosting the farmers’ productivity and economic status.